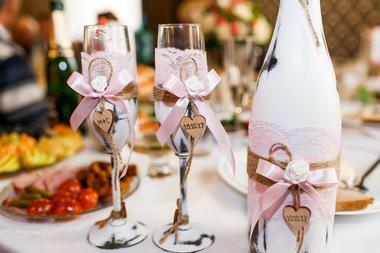 Planning for your big day? There’s nothing more special for a couple than the day that they start the rest of their lives together, and what better way to make it a spectacular occasion than with the perfect wedding venue? 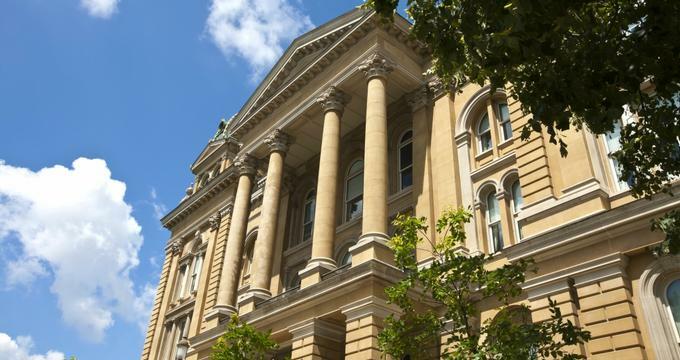 The Midwestern state of Iowa is no stranger to beautiful weddings, with many unique locations available to couples from all over the state as well as the nation. Known for its rolling plains and stunning cornfields, nature lovers are bound to find the picture-perfect space for their special day, but that doesn’t mean that couples going for a more urban or industrial theme won’t find a more than suitable spot either. When past clients tell you that this place gives every wedding a touch of class, they really mean it. It’s in the venue’s name after all! A Touch of Class Banquet Hall and Private Park is a premier venue to host your wedding in Cedar Rapids with its two large banquet halls and capacity to handle up to 500 guests for a seated wedding reception. The venue also features fresh and delicious cuisine that is made on site from exceptional recipes and by professional staff. Worried about your guests? A Touch of Class offers a convenient location in the city alongside ample parking as well as a first-rate bar service, a private park, real wood dance floors, and a commercial audio system. 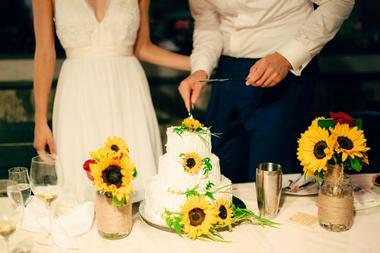 Weddings at Ashton Hill Farm are nothing short of timeless, exquisites, and unforgettable. The venue itself is all of those things and more as it’s a modern take on a classic barn and is nestled in the middle of gorgeous Iowa farmland. 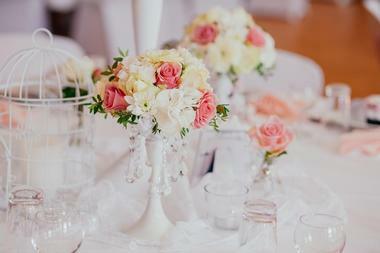 If you’re looking for a venue that will give you glorious sweeping views of the countryside, Ashton Hill Farm is it. The barn, which is staffed with committed and passionate people, is 7,000 square feet and can handle up to 300 guests for an indoor seated reception. Elegant and sophisticated, couples can look forward to the use of a bridal suite, a groom’s lounge, the loft, a full-service bar, the covered veranda, which also has an outdoor bar, bistro lighting, the ceremony area, and the outdoor fire pits. Picturesque and whimsical, the Cedar Falls Woman’s Club sits quietly on the corner of 3rd and Clay Street. The home dates back to the mid-1800s and has been lovingly restored to the gorgeous estate that it is today. 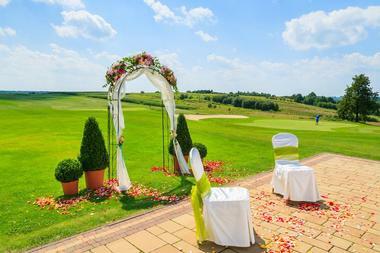 For couples looking for a classic and charming place to be married, the clubhouse is certainly one venue to consider. Couples can rent part of the house or the whole house depending on the number of guests being expected. Additionally, rent includes the use of the club’s ballroom, stage, balcony, parlor, boardroom, and dressing rooms. Catering is all done in-house with the exception of specialty cakes, nuts, and mints. 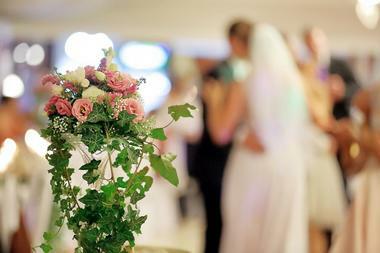 Looking for an interesting venue to have your wedding? Cedar Rapids Scottish Rite is exactly that. Also known as the Scottish Rite Masonic Center, this historic building has a spot on the National Register of Historic Places and celebrated its 100th anniversary in 2010. It’s notable for being designed by Henry Hornbostel, a prominent architect from Pennsylvania, and being built by Loomis Brothers Construction. Couples keen on celebrating their special day at Cedar Rapids Scottish Rite can rent out the building’s auditorium for the reception. Rental of this classic revival-style building includes use of the dining facilities and kitchens. 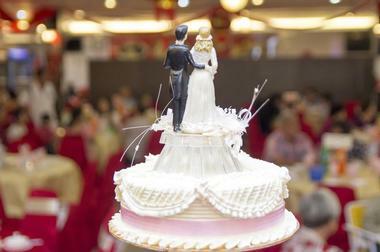 Marriages symbolize new beginnings for a couple as they leave singleness behind and become one in holy matrimony. If you’re eyeing Decorah in Iowa for your wedding location, then what better way place to have your special day then at De Novo Barn, the ideal place for new beginnings. Located on 200 acres of picturesque lands in Oneota Valley, De Novo Barn offers a casual yet elegant setting for weddings. Booking De Novo Barn includes the option of having your wedding ceremony in the barn or the outdoor valley, the option to have your wedding party preparations in the 1900s refurbished school house, use of the lower barn level, outdoor patios and common areas for cocktails, and much more. A golf course might not be the first place that comes to mind when picking a wedding venue, but boy does Fox Ridge Golf Course deliver when it comes to style and service. Just a few miles away from Cedar Falls, Fox Ridge Golf Course features over 8,000 square feet of beautiful and elegant banquet space. The clubhouse, which isn’t just well designed but also incredibly stylish, is more than capable of seating up to 300 guests and you can bet that the staff will do their best to make your wedding a truly memorable one. Another bonus of having your wedding at Fox Ridge is that they offer affordable menu options to make executing your wedding much simpler, while still ensuring that your guests get to enjoy delicious food on your special day. Getting married? The team at the Gateway Hotel and Conference Center are ready and more than eager to help you make your dream wedding come true. Couples getting married at Gateway can look forward to exchanging vows within a beautiful and intimate garden surrounded by a tranquil waterfall setting. At the reception, you can share your first dance together on a lovely starlit terrace with your nearest and dearest watching around you. It doesn’t stop there though. 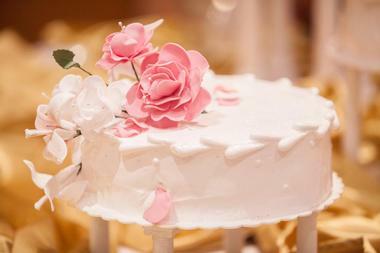 The Gateway can help with overnight guest accommodations, bridal showers and luncheons, rehearsal dinners, and more. 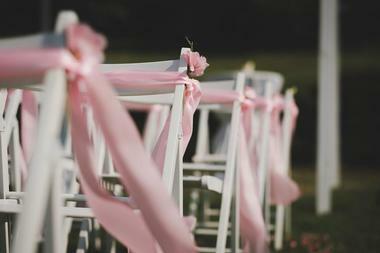 All it takes is one call to get moving forward toward the perfect wedding day. Nestled in the historic town of Nevada, Gatherings is a full-service event venue that offers a vintage, cozy, and inviting atmosphere for intimate weddings. The venue itself is a destination on its own and is imbued with comfort and rustic elegance, perfect for every stylish bride and groom. Service at Gatherings is exceptional, with a staff that is invested in making sure that you get the wedding you want and deserve. They’ll work with you to figure out all of your tastes, wants, and needs so that everything goes off without a hitch. 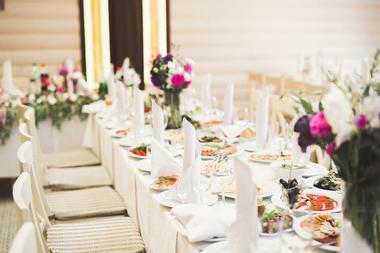 Not to mention the fact that the venue comes with full-service and on-site catering that pays great attention to details, so you can forget the headache of coordinating with a separate caterer. What’s not to like about the Grand River Center? Located near the amazing Mississippi River and just a stone’s throw from popular entertainment centers, the Grand River Center is the perfect location for any event. 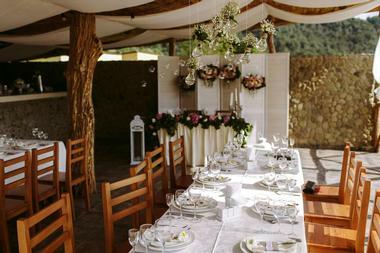 Not only is the service exceptional and the cuisine absolutely delectable, the venue also provides an intimate atmosphere for couples to exchange their vows. You can choose between the all-glass River Room for smaller wedding parties, the massive Exhibit Hall, or even the Grand Ballroom, which can seat up to 1,000 guests! The Grand River Center is ready to work with you from day one of your planning to make sure that your wedding will be exceptional. If you’re looking for a wedding venue that promise an exclusive outdoor experience, more flexibility, less restrictions, and no fee guarantees and even throw in a coordinator on top of everything else, then Harpor’s Vineyard is definitely where you want to be. Let’s face it. Some wedding venues tend to rip couples off, but at Harpor’s, service charges, credit card fees, and other expensive venue chargers are off the table. 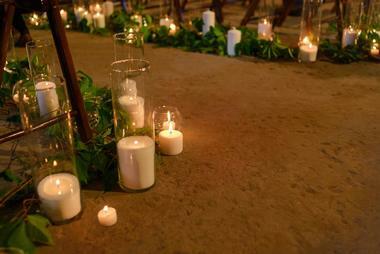 Instead, guests can focus on enjoying the wedding of their dreams within the six landscaped acres of the vineyard. From the covered deck to the historical barn, you can bet that your wedding will be picture perfect. By the way, if you’re afraid that your ideas might get squashed by restrictions or space limitations, don’t! Harpor’s is all about figuring out solutions to make the wedding of your dreams a reality. Eager to get married in Dubuque? You may want to consider taking a peek at Hotel Julien, an elegant and unique boutique hotel with great historical charm and tons of modern amenities in the heart of the city’s Old Main District. 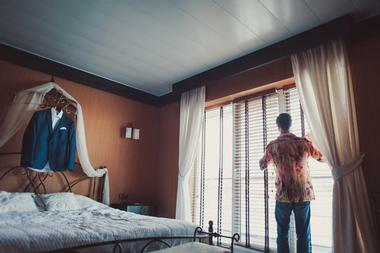 What makes Hotel Julien so great is their tradition of elegance and personal service. Having been in the business for nearly 150 years, the hotel is an icon of outstanding service when it comes to new beginnings and celebrations, just like your wedding day. Hotel Julien is capable of handling up to 400 guests for a seated reception and promises not just polished service but also amazing historical splendor and innovative cuisine. Located in the former home of Janesville’s legendary Riviera Ballroom, the Janesville Riviera-Roose Events Center is a great place for music lovers to have their wedding. 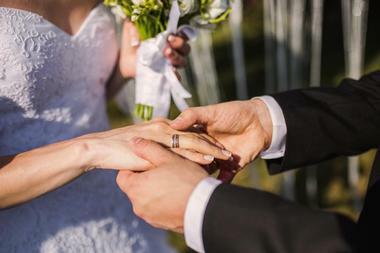 No stranger to nuptials, the Riv, as it’s known to locals, has wedding packages already made and available for couples who don’t want to have to deal with too much fuss for their big day. Couples can rent the Riv in one, two, or three-day packages, all of which are affordable and come with the use of the bar and the service of two bartenders. The packages are also already inclusive of the venue’s cleaning fee, among other things such as the stage, grill, and sound system. If you’re going for a more intimate reception, you can also opt for the use of smaller rooms, which are good for 50 guests. Romance and intimacy is never lacking at Little Lights Events. As one of the most popular wedding and event venues in West Branch, Iowa, Little Lights is known for creating a magical environment for brides and grooms alike to get swept off their feet. Be deliriously happy on your wedding day within the industrial-chic space of Little Lights’ building. Their spot on Main Street isn’t just inviting, it’s also elegant and adaptable so you can transform it into the perfect backdrop for any gathering. Look forward to a reception with a timeless setting and to walk down the aisle towards your husband-to-be among hundred-year-old pine trees. Noah’s is all about being classic, customizable, and affordable. Conveniently located in Des Moines, Noah’s Events Venue is perfect for any wedding reception, rehearsal dinner, vow ceremony, and more. Not only are they one of the leading wedding venues in the country, they also use their expertise to make sure that your dream wedding becomes a reality. There’s a lot included with every wedding reservation at Noah’s. 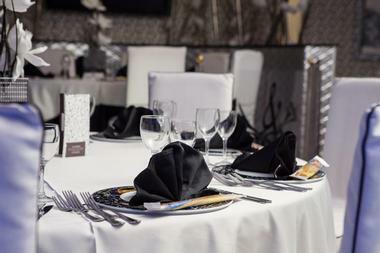 For starters, clients are offered a variety of table and layout options to suit their preferences alongside specialty linens with more than 75 different fabrics and colors. You can also achieve the ambience you’re going for with their accent lighting and enjoy great AV presentations with their audiovisual equipment. The stage is free for use along with the prep kitchen, while the setup and takedown are completely taken care of by Noah’s. Did we mention that they even have iron lanterns you can use for decoration? Sitting on 24 acres of beautiful sweeping Iowan plains is the Red Acre Barn and Vineyard. A popular event space in Iowa, the Red Acre Barn features 5,632 square feet of venue space that is perfect for the flawlessly rustic and elegant wedding that you’ve always dreamed off. With event space that is so extraordinary, to say the least, the team at the Red Acre Barn is prepared to take all of your ideas and preferences and turn them into an event to remember. Inclusions at the Red Acre Barn are use of the 2-acre vineyard, heating or air conditioning, use of the indoor or outdoor grounds, a large inventory of decoration, the bridal suite and groom’s lounge, the kitchen, a fully stocked bar with trained staff, and much, much more. 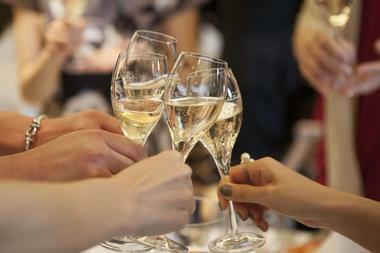 You can even pick any caterer that you want to handle the event! 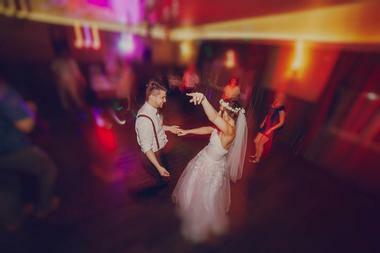 If music is a huge part of your life and something that you want to be completely intertwined with your wedding day, then the River Music Experience might just be the venue that you’ve been looking for. The River Music Experience, or RME for short, has 31,000 square feet of space available for rent within their historic Redstone Building. Depending on the size of your wedding reception, you can choose between locations like the Redstone Room, the RME Community Stage, the RME Hall, and even the RME Courtyard. It’s all about what you want for your big day and how RME can make it all happen for you. An elaborate home originally built in 1925, the Rollins Mansion is a beacon of artistry and spectacular design nestled in the town of Des Moines. Elegant and a treat for the eyes, the mansion makes the perfect backdrop for any wedding and the perfect venue for the wedding celebration after the ceremony. Interested parties can choose to rent just a part of the mansion or the entire location. Whatever you decide, the mansion’s team will work hand in hand with you to make sure that your wedding is the best that it can possibly be. To make things easier for you, the Rollins Mansion already has a full list of caterers, bartenders, and even a handful of decorative suggestions available for you to select from. For couples who are dead set on having their wedding in a historic building, the Shores Event Center is one location to consider! Originally built in 1911, the Shores Event Center is a top choice of venue for those who are looking to add some spice to their wedding. The entire building has been restored with great care over the past few years, and even has green features like spiral duct-work. 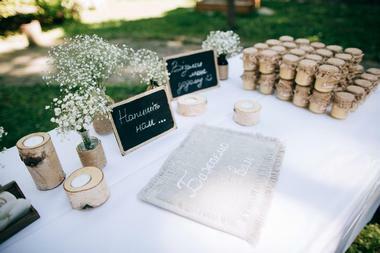 Some creative and unique uses of their venue include their chalk windows, which hold the names of many newlyweds that have passed through the center. When we say that the space is adaptable, we really mean it, as bare bones weddings have taken place there as well as extravagant themed wedding receptions. 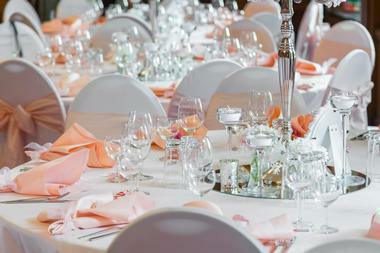 You can also opt for the caterer of your choice on the big day. What was once the centerpiece of a working farm is now one of the most coveted centerpieces in weddings across the state of Iowa. Originally constructed in 1930, the Brick Barn is magical and charming, to say the least. 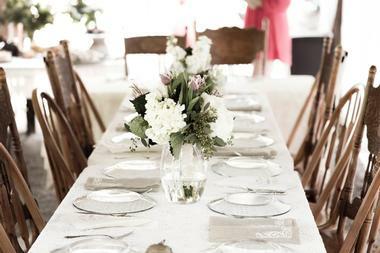 Refurbished and remodeled to exude a soft and romantic atmosphere, the Brick Barn is able to host up 175 guests and offers the use of both indoor and outdoor event spaces. While the barn is only open from April up until the second week of November, they are committed to making sure that your experience with them is everything that you ever dreamed of. Not sure where to start? The Brick Barn has several packages for you to sift through to start you off on the right foot. An extraordinary experience at an extraordinary venue awaits when you choose to have your wedding at Celebration Farm. With an undeniable “wow” factor, you can bet that you and your guests will find your wedding absolutely stunning. What makes the facilities at Celebration Farm extra special are the 5.5 acres of woodland that surround the barns. You and your partner can choose to be married outdoors in the midst of the intoxicating smell of cedar trees or indoors surrounded by a 50-foot ceiling made with breathtaking craftsmanship. Don’t take our word for it. Go see the beauty for yourself when you set up a site tour. Who wants to have to deal with headaches on their wedding day? No one, that’s who. That’s exactly what The District Venue promises: Hassle-free weddings, and gorgeous weddings at that. From the tables and chairs, linens and tableware to the setup and teardown of the venue to the servers and bartenders, The District Venue takes care of it all. Features of the venue include 5,000 square feet of open space, a wedding coordinator, your choice of black or white tablecloths and matching linen napkins, tableware, security and dram insurance, room set-up and even free tastings. Of course, there are other features as well, but we’ll let you discover those on your own when you stop by for a visit. Every bride deserves the best on her special day, and if you’re looking for the best in Glenwood, Iowa, look no further than the Fountains Ballroom and Vineyard. 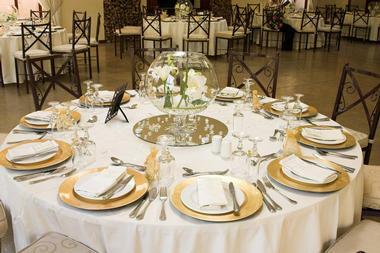 With a variety of wedding packages ranging from Silver to Diamond, the Fountains ensures that you get everything that you want and need within your budget. Choose from one of their packages straight up or use them as a starting point to begin planning the first day of the rest of you and your partner’s married life. Worried about capacity? The Fountains Ballroom can easily hold up to 450 guests, so you can plan for a huge wedding party or a small intimate celebration. At the Tuscany Event Center, owners Diana Quick and JoBeth Hanke are all about making sure they exceed all of your expectations and allow you to experience the difference in their service and passion. With over 29 years of experience, the Tuscany Event Center provides spectacular service and event coordination from the planning stages up to your wedding day itself. 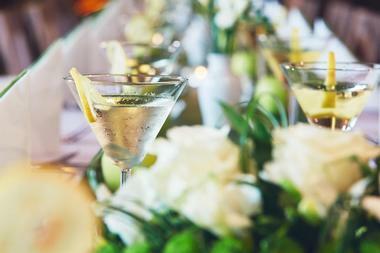 Each wedding is custom-designed to reflect the individual tastes and personalities of the couples. 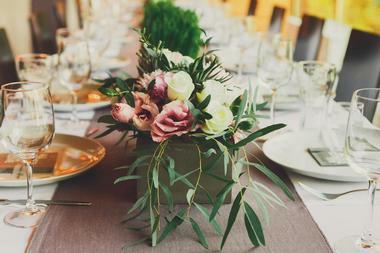 Additionally, the Tuscany Event Center makes sure that the wait staff at your wedding is impeccable, the food is delicious, and the presentation is fabulous. 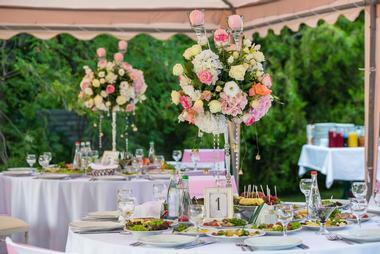 Additional services like flower design and rentals are also available. All you need to do is ask! Affordable, classy, and intimate, Wooden Wheel Vineyards and Winery is a great place to have your wedding in Keota, Iowa. The historic Vincent Family Event Center is available for rent for wedding parties and comes with rental of a screen and projector so that you and your guests can enjoy audiovisual presentations. Not only that, but the wine experts of the vineyard can also stop by to educate you and your guests about wine, so you can enjoy the celebration with a glass or two (or more!) of your favorite vintage. Wooden Wheel treats each event as unique and they are more than willing to work with you so that your vision for your wedding can become a reality without having to go over your budget.